Vacuum cleaners are great for removing dust, but these devices are quite pathetic when it comes to removing grout or mild stains from floors or other parts of a house. Vacuum cleaners can even damage parts like upholstery. If you still want to clean dirty countertops or aging upholstery, a steam cleaner is the better option over a regular vacuum cleaner. Steam cleaners work by generating a gentle and warm stream to remove dirt and partially kill microbes on various surfaces. This steam cleaner is offers multipurpose functionality. It generates a steam free of chemicals. Maximum power is a respectable 1050 watts. This steam cleaner is lightweight, but quite powerful. The steam can clean quite efficiently and better than vacuum cleaners. The steam cleaner is designed to run for 20 minutes without stopping. Afterwards, it auto shuts off until you are ready to use it again. The cleaner employs an ergonomic design that makes it very easy to hold and use. You can safely clean dirt, dust and debris off upholstery, rough garments and various hard surfaces using this handy tool. 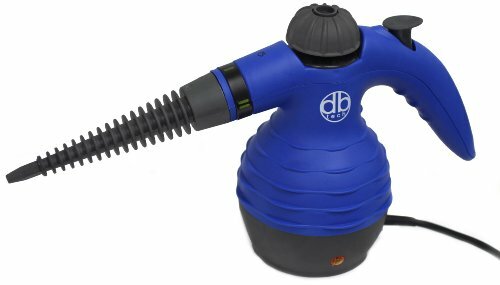 The DBTech steam cleaner is also very reliable and durable. You can count on to use this device for several years after purchase without an issue. The cord that comes with the steam cleaner is generously 9 feet long. It certainly increases the maneuverability, which is significantly higher than what you get with a vacuum cleaner at the same price. The steam nozzle is slightly bent to allow for efficient cleaning as well. This 1500-watt steam cleaner is quite powerful. It’s also designed to be highly user friendly. The device has controls that allow the user to set the performance as intermittent or continuous. This feature comes in very handy when cleaning sensitive surfaces. The demand trigger can get this steam cleaner functioning in no time. Also, this steam cleaner does not contain any chemicals, so you can be assured that it won’t harm your skin or the surface its cleaning. One of the best features of this steam cleaner is the wallpaper steam plate. One comes free with each purchase. The wallpaper steam plate can be used to remove wallpaper without leaving any sticky, unsightly reside. 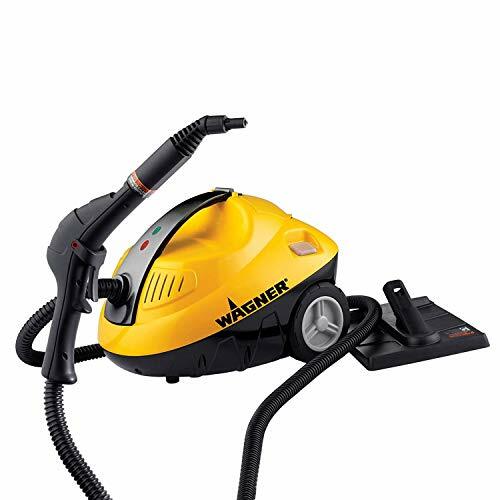 This steam cleaner is well known to be able to remove wallpaper 20 times faster than other steam cleaners. 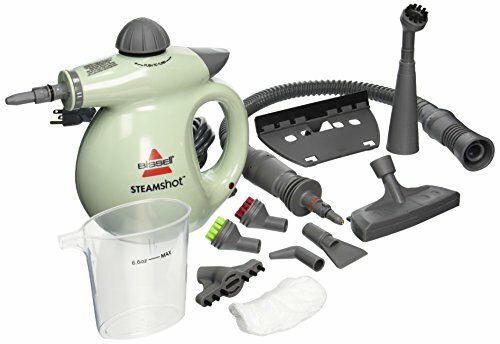 This steamer overall works more efficiently than non-pressurized steamers, and can even kill 99% of germs in dirty areas like the bathroom and kitchen sink. Comforday steam cleaner is the most affordable steam cleaner on this list. Though low-cost does not mean subpar functioning for this device. It works comparably efficiently to more expensive steam cleaners. The defining features of this device are the lightness, portability and durability. 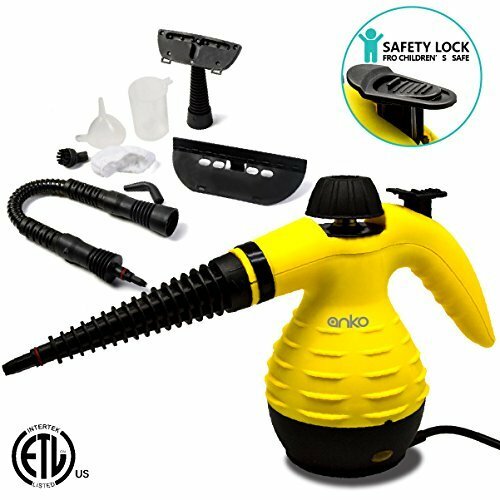 This steam cleaner is ergonomically designed to make holding it in hand for long periods pain free. It works like magic on curtains, car seats and those crevices that the broom or the vacuum cleaner can never get to. This steam cleaner can get the job done quickly, so you don’t waste time or end up with a sore wrist. It can run for 20 minutes continuously in a single session. Comforday generates a pressurized steam for optimal cleaning. The steam generated is completely free of chemicals. Therefore, this steam cleaner is recommended for those with allergy concerns. You can use this steam cleaner to control beg bug issues or dirt or browning issues on fabric. For better effect, you can equip it with an array of third-party devices. This steam cleaner is specially designed to clean hard surfaces, especially wood, laminate and tile floors. This device uniquely shoots a sharp burst of steam to get rid of those though stains and grime. (While that can be very useful when cleaning hard surfaces, you should be careful when using this on cloth materials like upholstery that require gentler cleaning.) The high-pressure steam shot this device generates can penetrate grout and hard-set stains. This steam cleaner uses 1,000 watts of energy to heat up. It works significantly fast compared to similar steam cleaners. The steam is, of course, completely chemical free. The steam will not cause discoloration or unwanted damage to the surface that’s being cleaned. The handheld design is also ergonomic and does not exacerbate wrist strain. This steam cleaner is safety certified. Package includes useful accessories such as grout brush, extension hose, fabric steamer, and window squeegee. 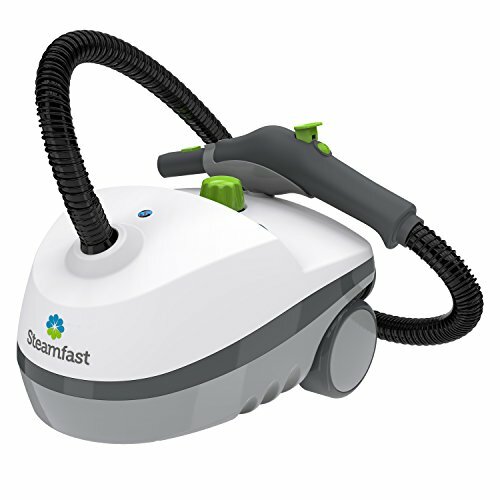 Steamfast is a highly versatile steam cleaner that comes in a wonderful design. The steam cleaner is lightweight and compact. So, it’s very use to carry from place to place when you are cleaning. It’s powered by a 1500 watt heating system that can generate hot and high-pressure steams to get rid of grout and dirt off most surfaces. This steam cleaner does not contain any fillers or harsh chemicals. You can clean continuously up to 45 minutes. That’s a definitely upgrade over other steam cleaners that can only work continuously for about 20 minutes. The exterior of the steam cleaner is plastic and is very sturdy. Features include a trigger button to generate instant steams. The steam cleaner is also highly versatile as it comes with a number of attachments to increase the cleaning scope. The accessories that come in the package includes a jet nozzle, squeegee, scrubber, extension wands, and a corner nozzle tool to get to narrow crevices. Conclusion: Your house will definitely benefit from having a steam cleaner in the arsenal. You can easily eliminate germs and filth that gather on difficult to clean areas like upholstery and massive curtains. If you are using a steam cleaner for the very first time, read about the device in advance. Steam cleaners should not be used on all surfaces. Learn about how to use this device properly, and you will have a cleaner and shinier house.